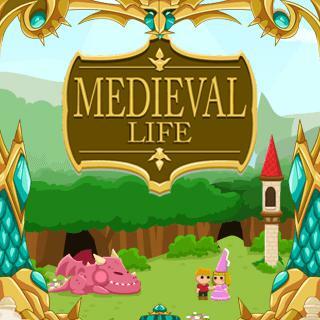 Play Medieval Life and more Arcade Games on Games1.com! Once upon a time, in a land of dragons and unicorns, there was a beautiful princess imprisoned in a tower...And this is how the story begins. In this cute puzzle game your task is to find the correct ending. Will it be a happy one or will you fail miserably - it's up to you to determine the outcome! Tap on the buttons and grow the story parts to their maximum level. Can you find the right solution?